After a couple of months break from linking up with Le Challenge, I am back with my interpretation of their latest challenge - 'Era'. This was actually quite an easy one for me. A while ago a friend of mine had given me some scraps of Liberty fabric that were precious to her. Her grandmother had used the same fabric to make a blouse for her, many years ago. 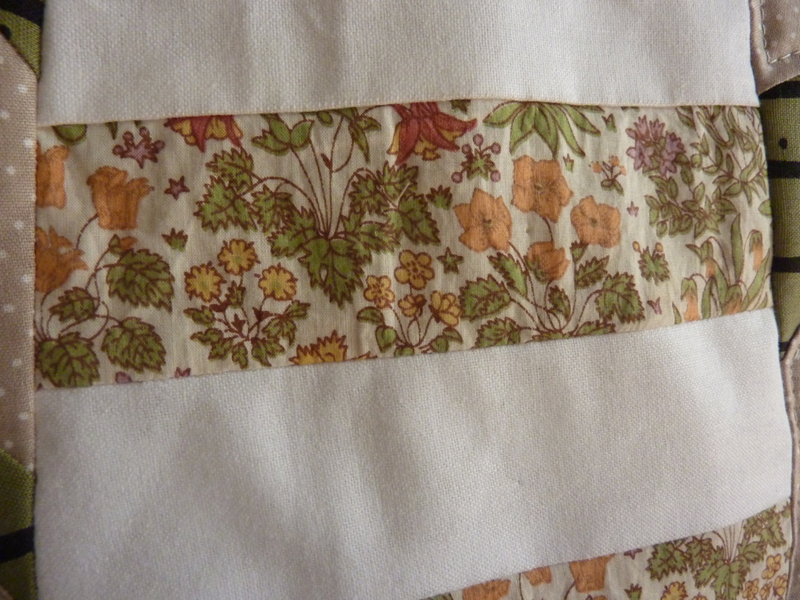 The blouse is now very faded and well-worn, but my friend asked if I could make something for her using this fabric, to remind her of her grandmother. As my friend is a big tea drinker this is what I came up with. 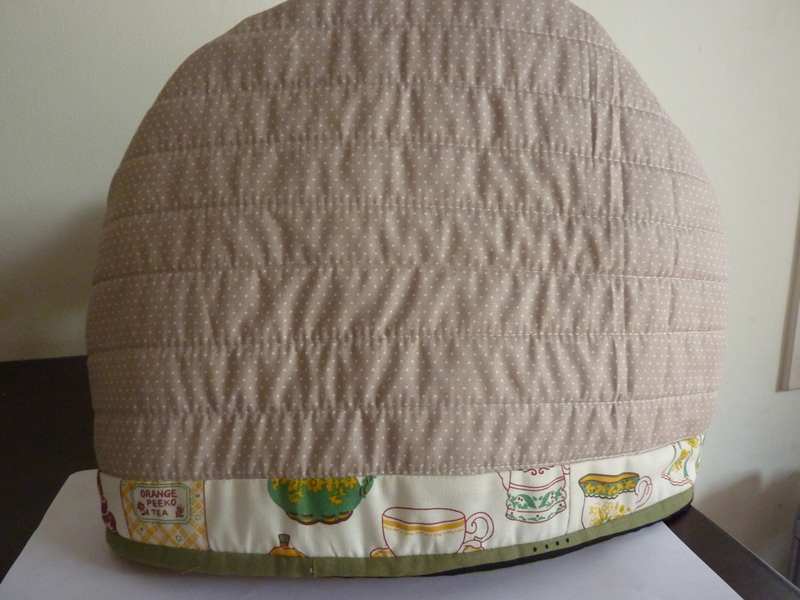 I adapted a pattern from Pretty Bobbins for the tea-pot, and used a pattern from VeryKerryBerry for the tea-cosy. I am a bit disappointed that I didn't do a great job of fussy cutting the Japanese tea-pot fabric along the bottom, but I now know better for next time! 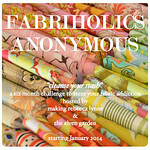 Linking up with Le Challenge, using fabric from another era! What a great way to reuse vintage fabric, I am sure your friend will love it. Fabulous! She will get to see it and admire it everyday! It's brilliant, I'm sure she will love it. 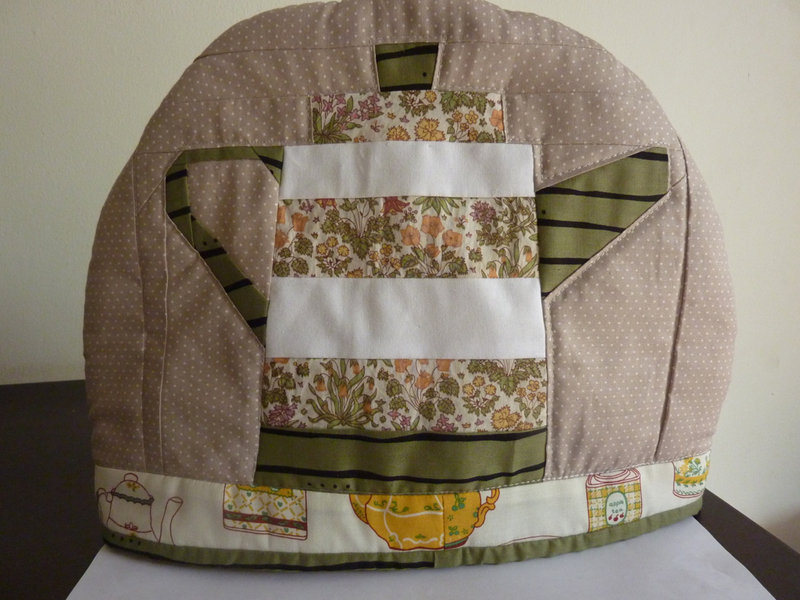 Oh, the tea cozy is a great interpretation of the theme! I am sure your friend will love it. What a great way to re-use vintage fabric. Now your friend can admire it those pieces of fabric that are so special to her all the time. I love it and what a great treasure for your friend, I think the fabric at the bottom would have been hard to fussy cut, it looks like the teacup and pots are kind of all over the place. I always love Liberty, a great to re use the fabric from another "era"
I couldn't think of a better way to show off your friends lovely fabric, and a wonderful interpretation of the theme Era. Your friend is going to treasure the tea cosy you made for her. So perfect!!! Brilliant idea for keeping momories. 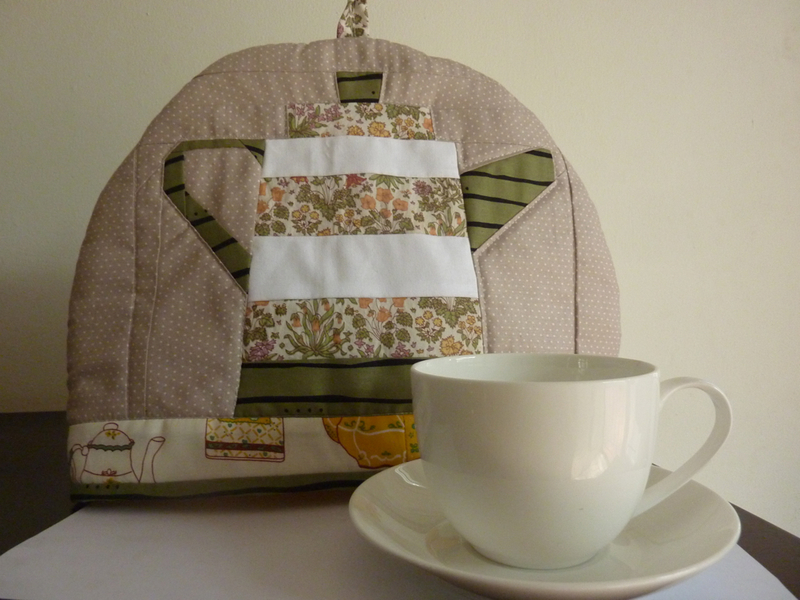 I don't know about your friend but tea cosies always remind me of my Grandma! I think you reused the pretty Liberty fabric in the most perfect way and chose the perfect fabrics to complement it as well!! What a wonderful tea cosy! Perfect use of the fabric. I love your tea cosy - I have always wanted to make one, but never got the opportunity/time, but I am thinking I need one! Thanks for sharing on le challenge! It is fantastic and you did a brilliant job! What beautiful fabric, and it looks perfect in your make. I imagine your friend will love it. A very clever way to make a small amount of special fabric go a long way. It looks great - fantastic use of your little bit of liberty fabric! And really, I guess for some, even using a tea cosy is a thing of the past too these days!